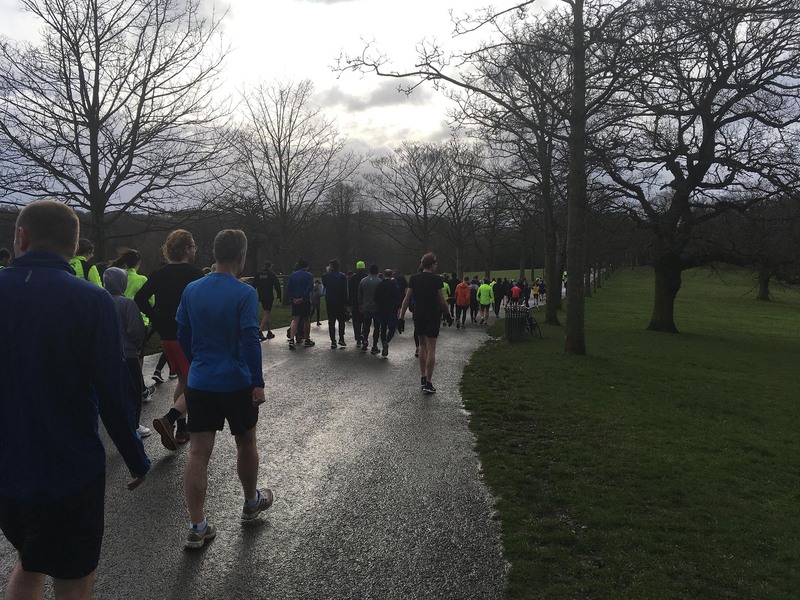 This week 332 people ran, walked, jogged - or a combination of all three - with us here at Roundhay. 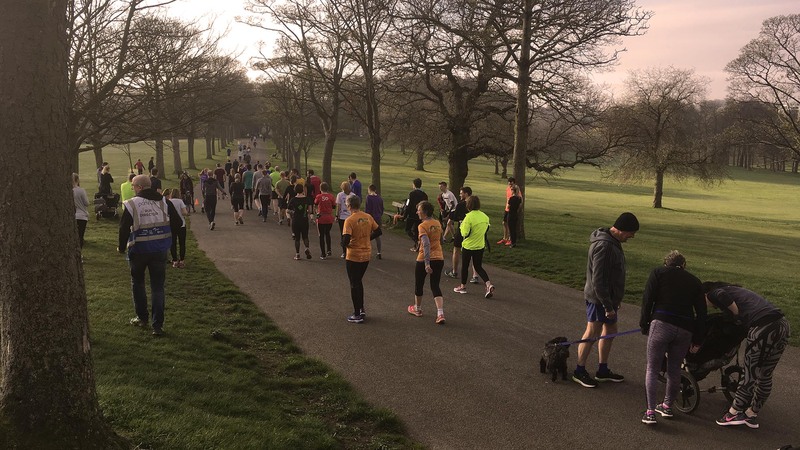 18 people ran a parkrun for the first time; a further 31 ran Roundhay for the first time and 64 recorded PBs – well done all! 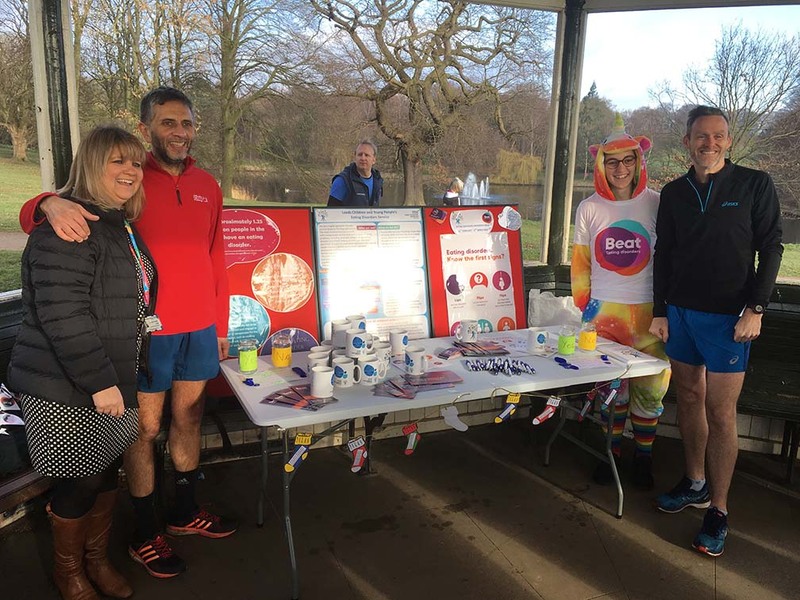 Congratulations to Jodi Bolton and Satish Patel on joining the 50 club, and to Heather Pawley who ran a PB on her 200th parkrun! 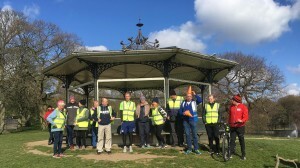 Today we had a volunteer takeover by volunteers from the ITU World Triathlon which comes back to Leeds - and Roundhay Park - on June 8th and 9th. 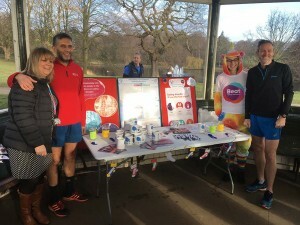 They were handing out discount vouchers for the Sprint challenge on June 9th (you can save £20 off entry using the discount code is 'PARKRUN', valid till April 30th or when entries close) and advertising the various GoTri events in and around the city. If you wanted to volunteer at the event(s) please do let them know. Many thanks to ALL of our volunteers who are the engine that drives parkrun - if you want to volunteer please do let us know. It will be Roundhay parkrun’s 8th birthday on Saturday 27th April. Feel free to bring cake! There is also a committee meeting after the birthday run which is open to anyone who is interested. 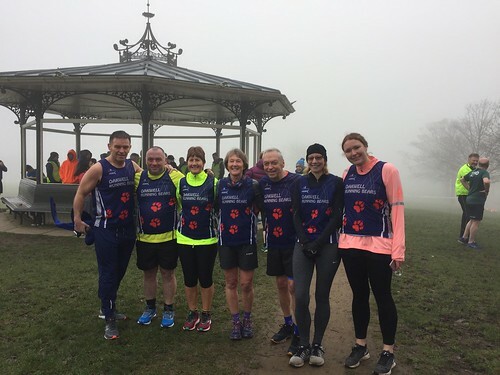 8 people ran a parkrun for the first time; a further 22 ran Roundhay for the first time and 79 recorded PBs – well done all! 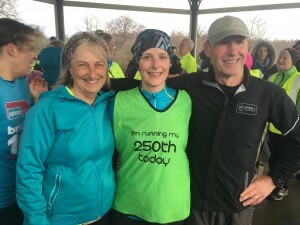 Congratulations to Anna Byrd who ran her 50th with us here today. We had visitors from as far away as the USA. 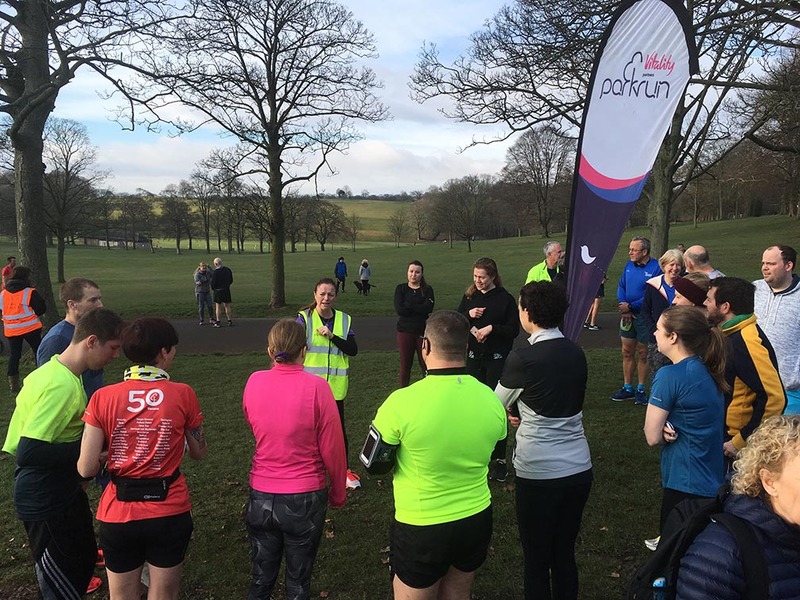 Andy, today’s RD, told us that there are over 11,000 people who have registered with Roundhay as their home parkrun – hopefully we‘ll see you all - but just not at the same time, we definitely don’t have enough finish tokens! 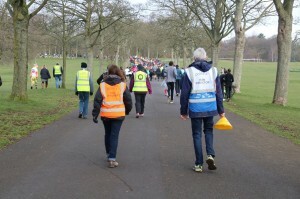 Today was made possible by 22 volunteers – Liz and Christopher seen here doing the, all important, timekeeper role. 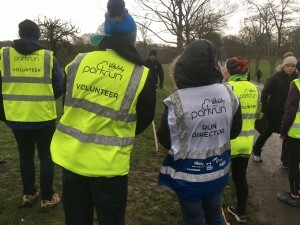 There are a vast array of roles available and training/guidance will be provided if needed – if all parkrunners could volunteer 3 times a year we’d be perfectly self sufficient. 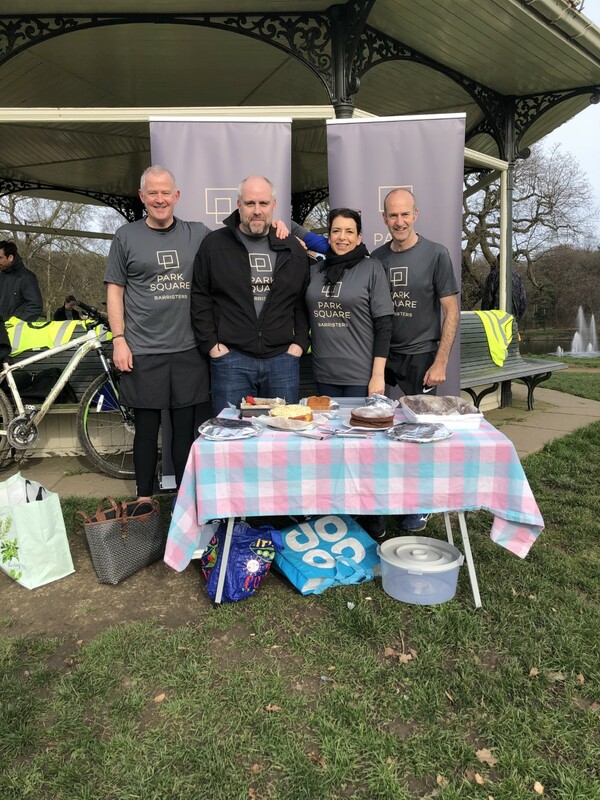 It’s our birthday on April 27th – our 8th – and we will be giving out spot prizes on the day, if you would like to donate a prize please let us know what you can give and if you would like it for something in particular. For example, first runner with specs, third pushchair, first Leeds Utd Football top or anything you like. 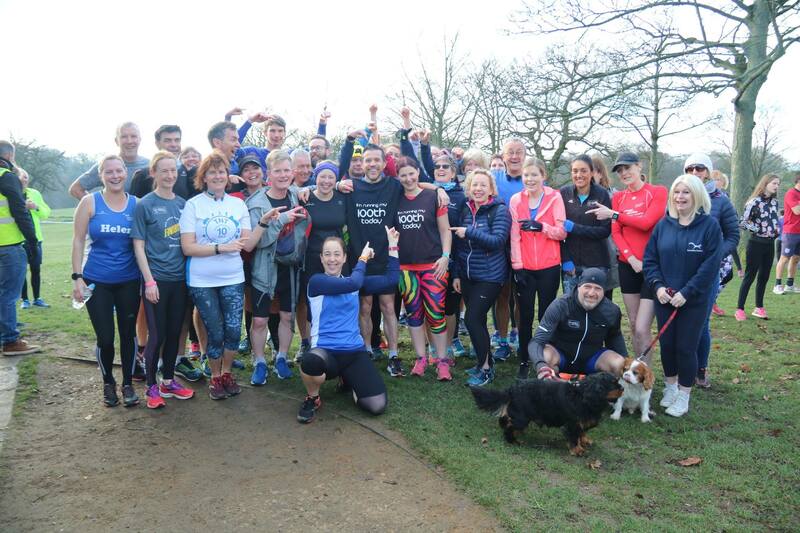 This week 392 people ran, jogged and walked parkrun this week. 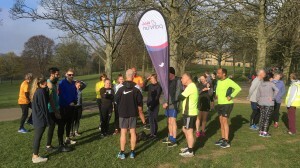 We had 30 people completing their first ever parkrun! We hope you enjoyed your morning! Today was made possible by 24 volunteers, we are always looking for volunteers so please let us know if you are available for any week. You may have seen today we have a new selfie frame at the park. Please take pictures and have fun! If you post them on social media don't forget to tag us in it. 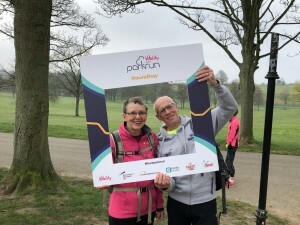 Here we have our very own John and Jean Hussey modelling the frame. John and Jean are regulars at Roundhay and between them have done an impressive 427 parkruns and volunteered 165 times! It's nearly our birthday! whoop whoop! On the 27th April it will be our 8th birthday (I think) We will be handing out spot prizes on the day, if you would like to donate a prize please let us know what you can give and if you would like it for something in particular. Like first dog, finisher 300, best leggings (mine obviously!) or anything you like. 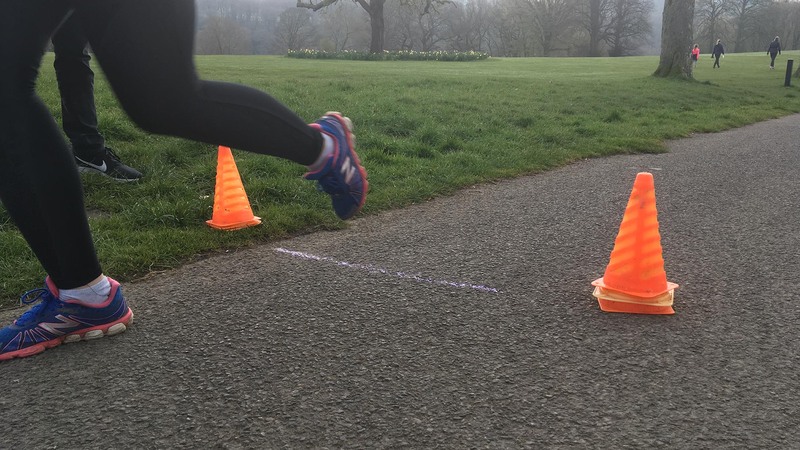 After missing the last couple of parkruns I was glad to get back to it today and it didn't disappoint. 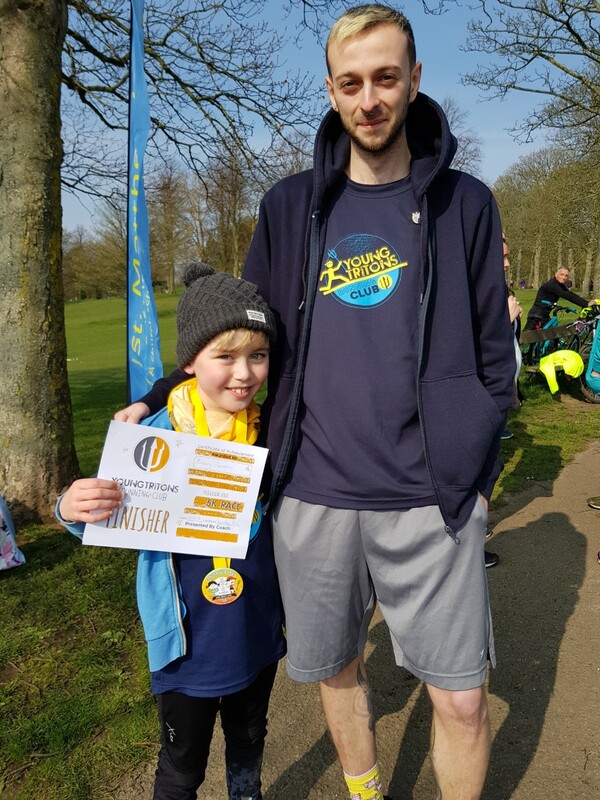 The weather was kind today and 436 people ran, jogged or walked the 5k under the watchful eye of our run director today Huw. 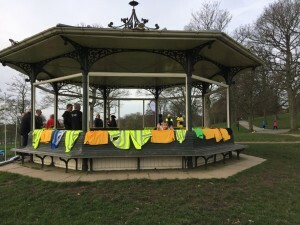 As I arrived the bibs were all laid out, ready to go. Today we had a volunteer takeover by Park Square Barristers. It's not often we get takeovers from non running clubs! And they brought cake. Thanks very much for this morning! 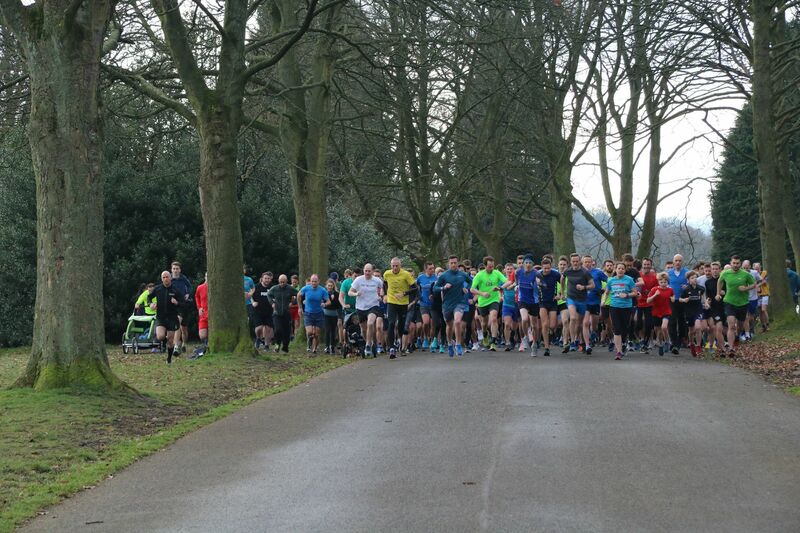 We had 68 first timers with us today and 77 people recorded a personal best. Well done! 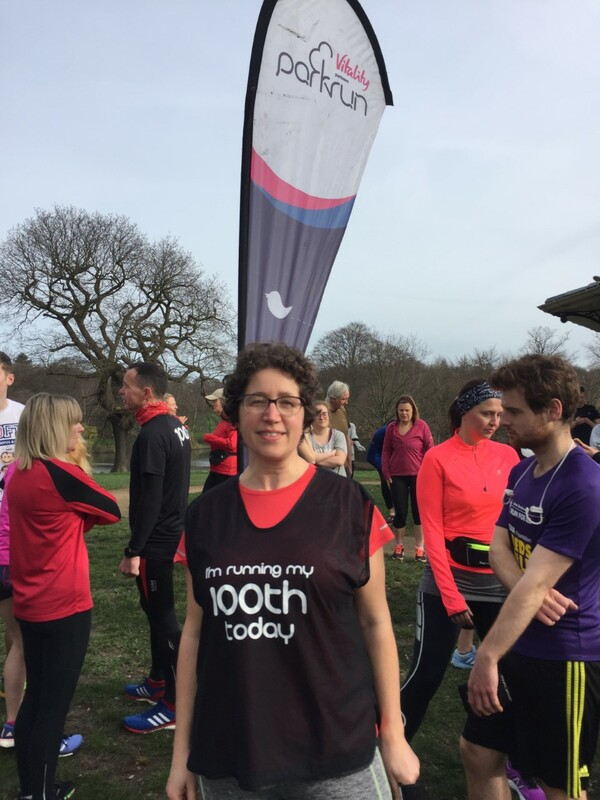 We had a few milestones including Selina (below) completing her 100th. We are missing a few volunteer names for today so if you did volunteer and you don't get an email to say thanks. Please get in touch and we can add you in. That's all for this week, see you next Saturday! A stand -in report writer this week, so I’m afraid there are no pictures. By’ eck it was windy so many thanks to the volunteers who braved the conditions to stand around in the cold. The morning didn’t get off to a great start for me as I couldn’t find my barcode – a disaster. Nevertheless, it is always good to walk and run with friendly folk. 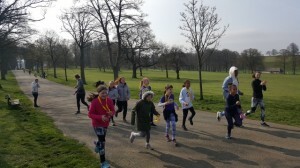 This week 259 people ran, jogged and walked the course, of whom 30 were first timers and 22 recorded new Personal Bests. Representatives of 26 different clubs took part. 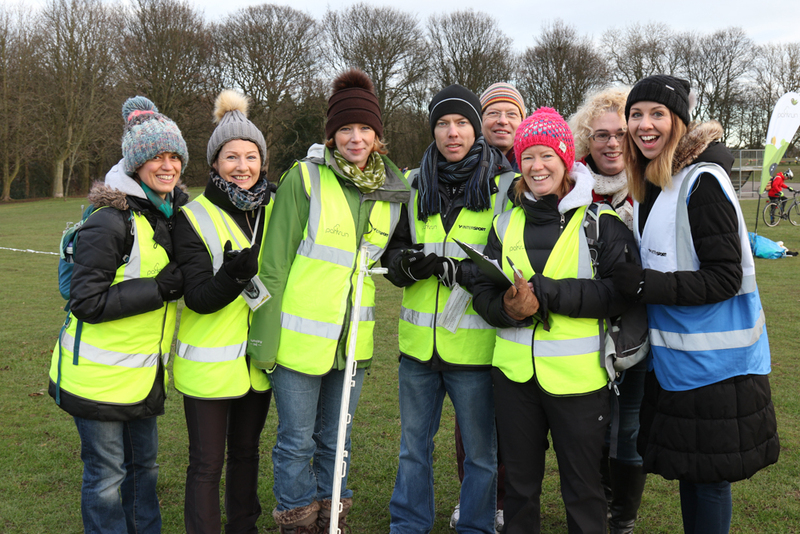 This morning we had 18 volunteers: the true heroes of the event. If you would like to volunteer at future events please get in touch – roundhayhelpers@parkrun.com or speak to a volunteer or the RD next week who will be Huw. 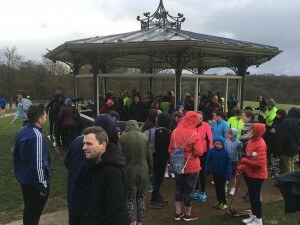 A wet and windy Roundhay park had 356 people run, walk and jog around it this morning, welcomed by Run Director Hannah. 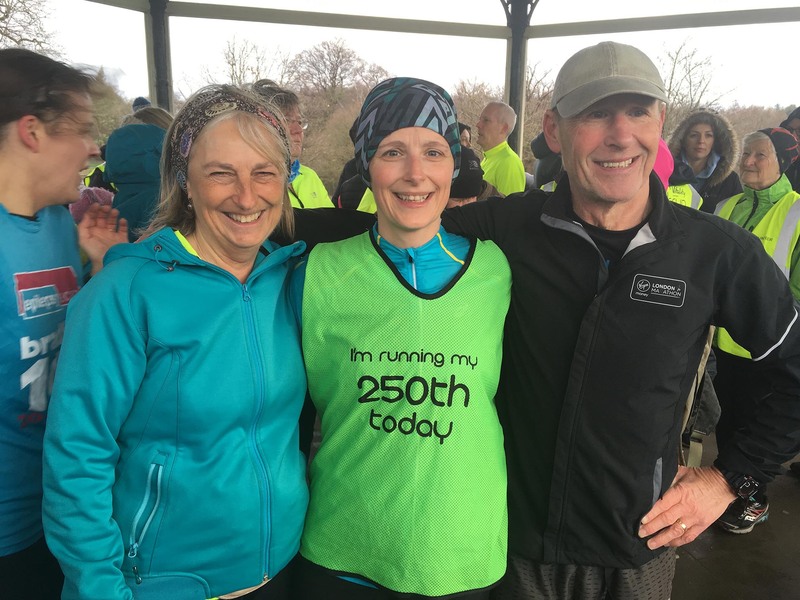 We celebrated a very special milestone – Steph Gledhill ran her 250th parkrun – pictured here with her family – that’s 1250 kilometers or 781.25 miles which is about the distance to Głogów parkrun in Poland! Well done Steph. Also, well done to Neil Metcalfe who also ran his 250th with us today – he’s run at 30 different parkruns across the country, but started his journey at Roundhay and we’re really pleased that he chose to share this milestone with us. 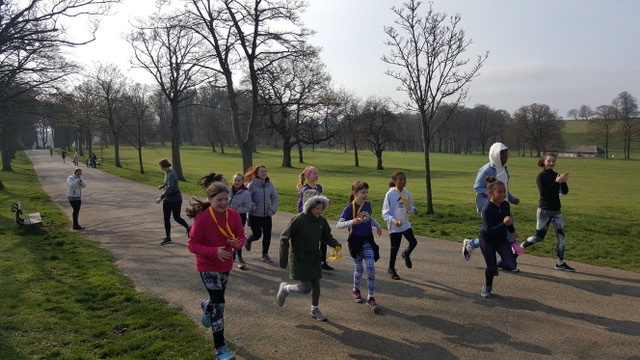 We had a very special contingent of Mini Mermaids and Young Tritons from St Joseph’s in Pudsey tackling a 5k, many, for the first time. Well done to them. 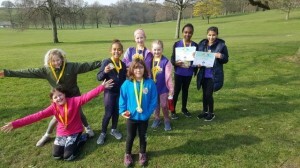 If you’re interested in Mini Mermaids and Young Tritons working with young people at your school or in your community please get in touch with them here. There were 11 new parkrunners, 45 runners tackling Roundhay for the first time and 42 recorded PB’s. We even had a tourist from New Zealand. Thanks to you all for coming, we hope you enjoyed the morning and hope to see you all again soon. 27 volunteers made this week possible. Many thanks to them and all who volunteered, if you would like to volunteer at future events please get in touch – roundhayhelpers@parkrun.com or speak to a volunteer or the RD next week who will be Harriet. 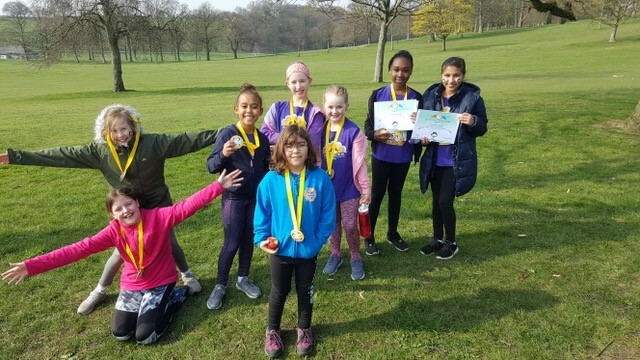 Whilst we’re thinking about volunteering – if you would like to volunteer for our Junior version at Roundhay on a Sunday morning have a look here and get in touch. See you all in seven days – don’t forget your barcode! 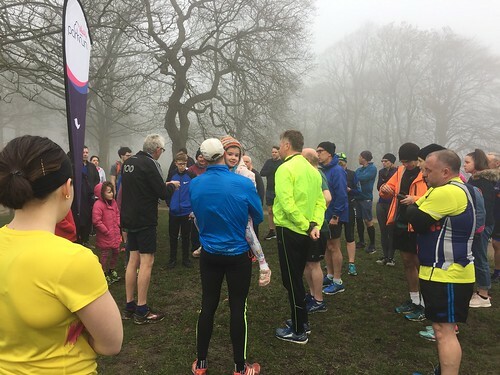 We had 419 people join us at Roundhay parkrun this morning. Although the weather wasn’t as warm as it has been over the last few days, it was a vast improvement on the snow that we had this time last year! 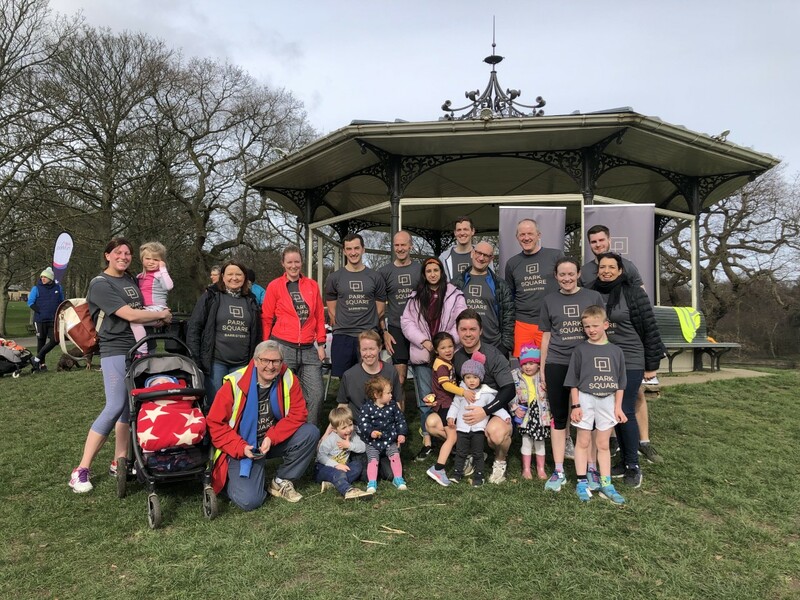 Huge congratulations to Mary O’Donnell and James Carvello who completed their 100th runs with us today – surrounded here by friends – well done to them, a huge achievement. 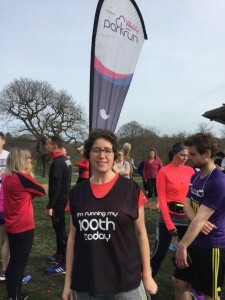 They were 2 of the 494 people globally who joined the 100 club! 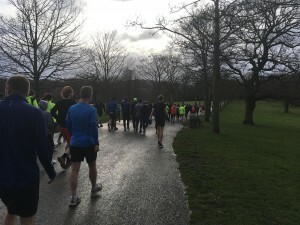 There were 21 new parkrunners, 30 runners tackling Roundhay for the first time and 71 recorded PB’s. Amanda’s first timers briefing even included a visitor from Spain! Thanks to you all for coming, we hope you enjoyed the morning and hope to see you all again soon. 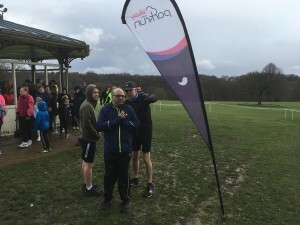 20 volunteers made this week possible - including Peter whose photographic skills give the visual element of this report, and our unflappable Run Director, Dave. Many thanks to them and all who volunteered, if you would like to volunteer at future events please get in touch – roundhayhelpers@parkrun.com or speak to a volunteer or the RD next week who will be Hannah. See you next week – don’t forget your barcode! 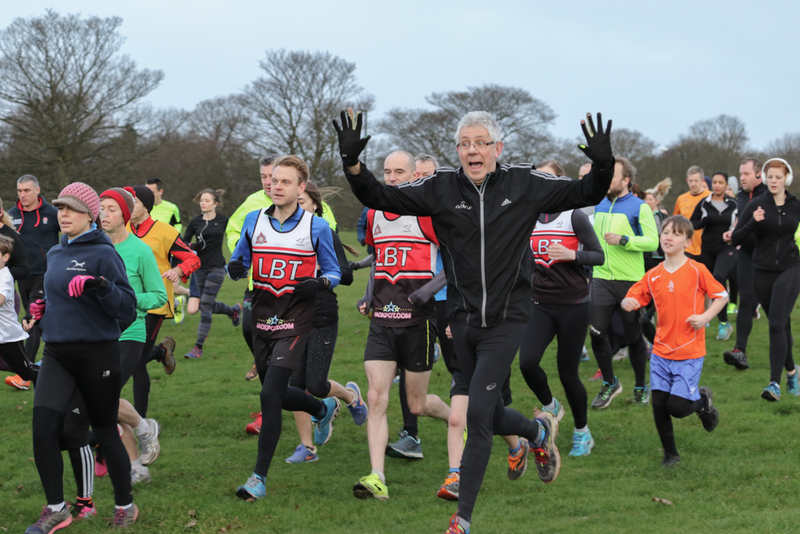 We had 396 people join us at Roundhay parkrun today. It was certainly colder than it's been over the last few days! 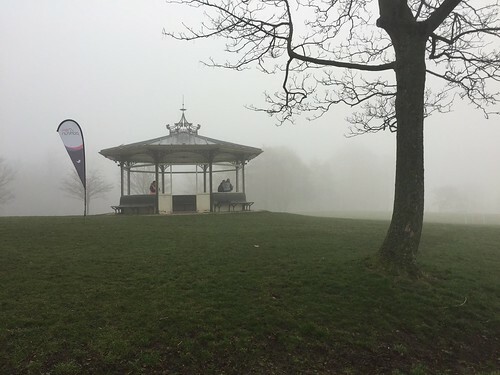 This was taken at about 8:30am as the volunteers were setting up the course. There were 30 runners completing their very first parkrun and 54 visitors doing their first at Roundhay. The first timers briefing given by Dave was a busy one this morning! 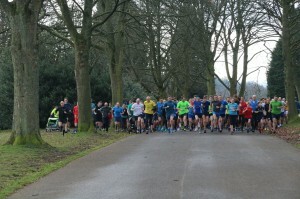 This included some runners from Oakwell Running Bears. Thanks for joining us today! We hope you enjoyed your morning. 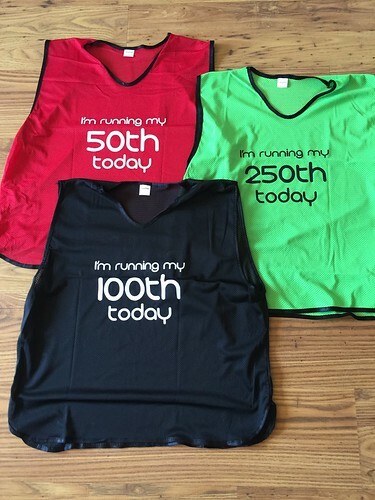 Finally a quick reminder, if you are running a milestone event at Roundhay we have some bibs to help you celebrate! let us know what you are doing and we will reserve one for you. See you next week! Don't forget your barcode! The weather was kind to us today and it was a glorious day in the park. 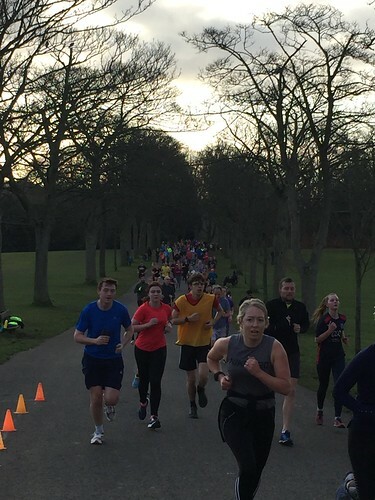 389 people ran, jogged and walked with an impressive 84 personal best times recorded. We had 20 first timers and 27 people visiting from other parkruns. We hope you enjoyed the hill of doom! 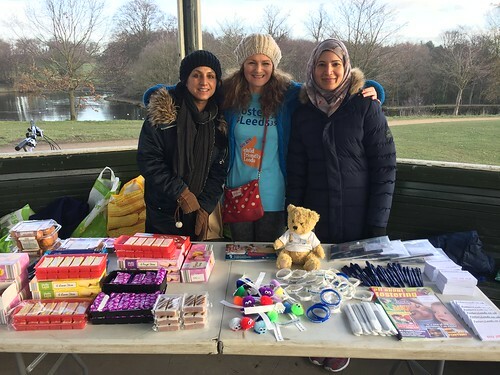 Leeds Fostering and Adoption services joined us to share information on fostering and adoption in the Leeds area. Thanks for the cake! It was delicious! 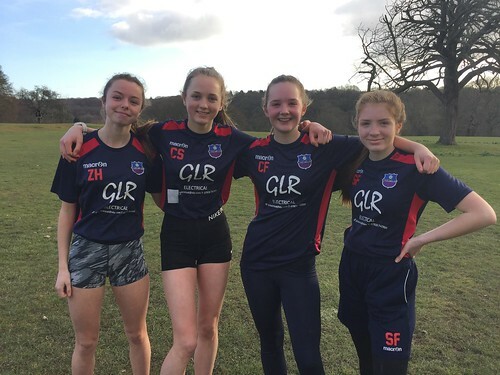 The girls from North East Leeds U15 football club came and ran parkrun as a warm up before heading over to their training session. Thank you to the wonderful 25 volunteers that made today's even happen. 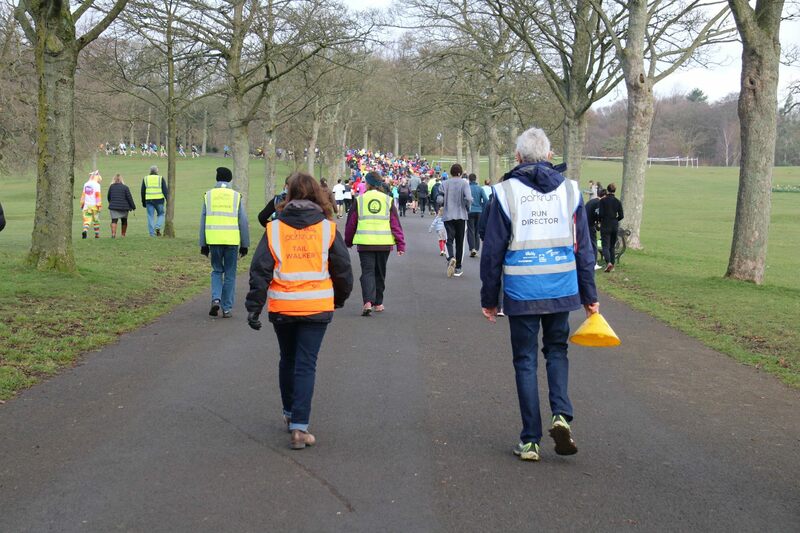 You might have seen we have been scrambling around to get volunteers for the last few events. If you can, please come and volunteer every now and again. It's lots of fun I promise! If you are a little nervous or don't know what you need to do, don't worry, we will explain it all. 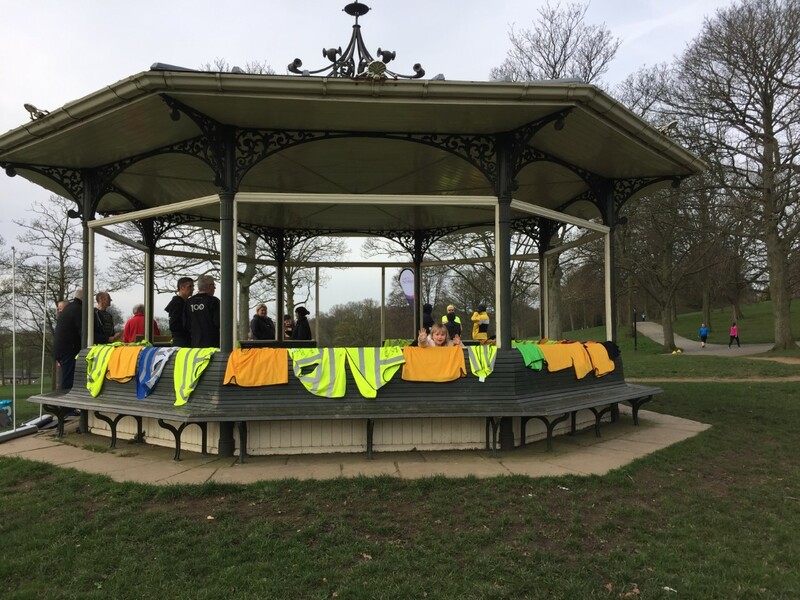 There are a variety of roles and all come with a fabulous high vis vest. Come be a high vis hero for the morning! Thanks for joining us today, see you next week! 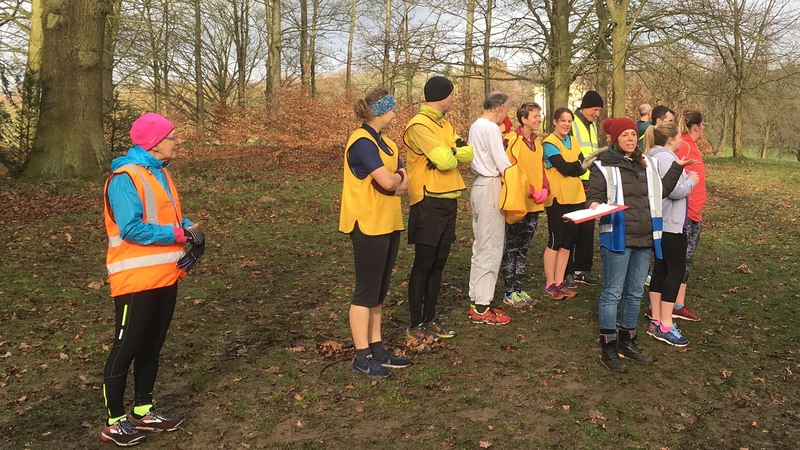 It was a cold and frosty morning at Roundhay today and we were once more on the winter course. With many local parkruns cancelled because of slippery surfaces we welcomed many visitors today, all enthusiastically embracing the challenging conditions. 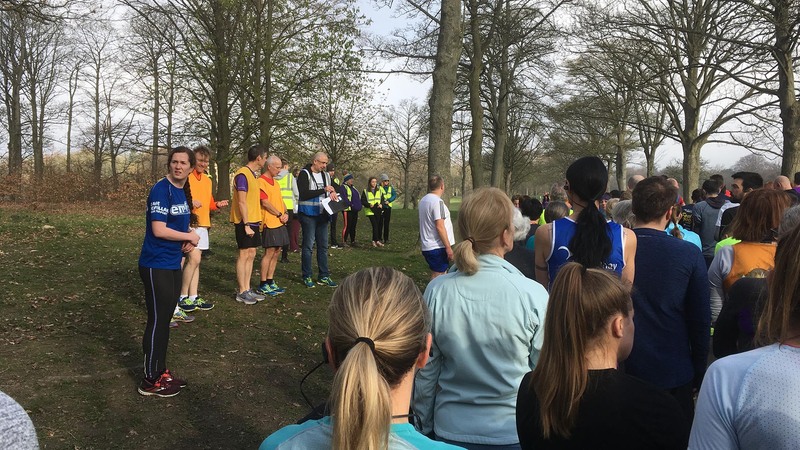 This included a contingent from Leeds Building Society joined us along with a few first timers (perhaps not as many as usual...) Congratulations to Innes Young on completing his 100th parkrun and to Ross Armstrong and Elise Neame for their 50th parkruns. The photographer's fingers actually froze so there are no new pictures to show you this week. Instead I've dug out a couple of old photos from the winter course. 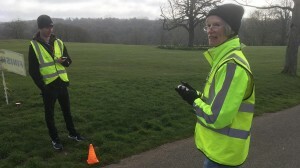 Special thanks to the 20 or so volunteers, expertly led by Jan Rush, our RD, who braved the chilly conditions to give the rest of us an enjoyable run.